Day 1: The same itinerary as Tour 15 with a visit to NAPLES and POMPEII followed by a drive along one of the most beautiful panoramic roads in Italy known as the ‘Costiera Sorrentina’ to which the town of SORRENTO gives its name. Arrival at your hotel, dinner and overnight. Day 2: After breakfast transfer to the port of Sorrento and after approx. 20 minutes by jetboat arrive at the port of Maria Grande on the island of CAPRI. Board motorboats and the rowboats to visit the BLUE GROTTO (if weather and sea conditions permit), followed by a panoramic tour of Capri and ANACAPRI by minibus and on foot. After you included lunch, you will have some free time before taking the boat to rejoin the daily tour coach for the journey back to Rome. Approximate arrival time will be 8/8.30 pm and return to the vicinity of your hotel. N.B. 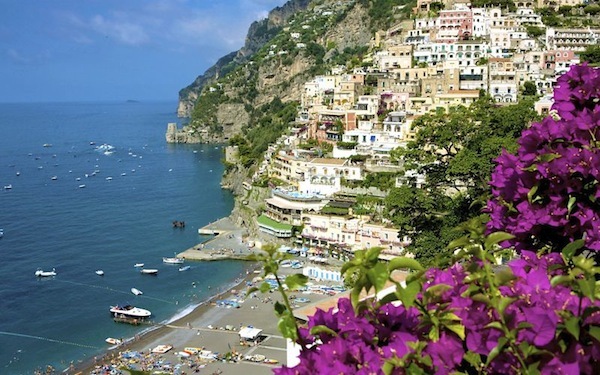 The tour cost does not include the carriage of luggage on the Sorrento-Capri-Naples transfers. The charge of approx. €12.00 per bag must be paid on the spot directly by clients. For logistical reasons, the name of the hotels in Capri and Sorrento will be advised en route, after departure from Rome.